Boyds, Md. 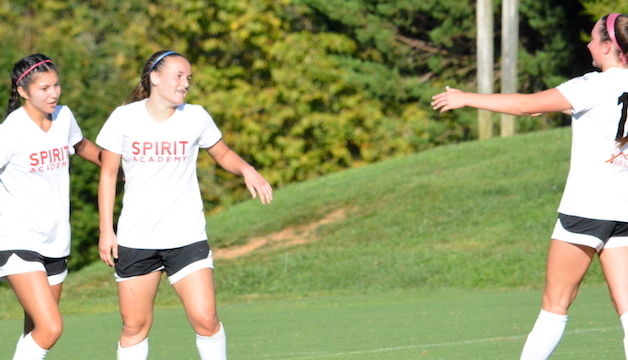 (October 4, 2018) – Washington Spirit Academy – Maryland forward Jordan Canniff has been selected for the U.S. U-17 Women’s National Team roster for the 2018 U.S. Soccer Invitational, which will serve as a warm-up for the 2018 U-17 Women’s World Cup. Canniff led all players on the U.S. U-17 Women’s National Team in career international goals with nine, prior to sustaining a major injury early in 2018. The 17-year-old from California, Md. has since made a full recovery, and now receives her first call-up since the injury, with the 2018 World Cup around the corner. Canniff was a member of the U.S. team at the 2016 CONCACAF U-17 Women’s Championship in Grenada, where she played in three matches, starting two, in helping the USA to the regional title and a berth to the 2016 FIFA U-17 Women’s World Cup. During the upcoming U.S. Soccer Invitational, the U.S. U-17 WNT will host Mexico, England and Colombia for a round-robin tournament featuring doubleheaders on Oct. 10, 12 and 14 at the Premier Sports Complex in Lakewood Ranch, Fla. This will be the final tournament before the USA roster is selected for the FIFA U-17 Women’s World Cup, which takes place in Uruguay from Nov. 13-Dec. 1. U.S. U-17 WNT head coach Mark Carr has named 26 players to the training camp roster for this tournament, and the final 21-player World Cup roster will likely come from this group of players.